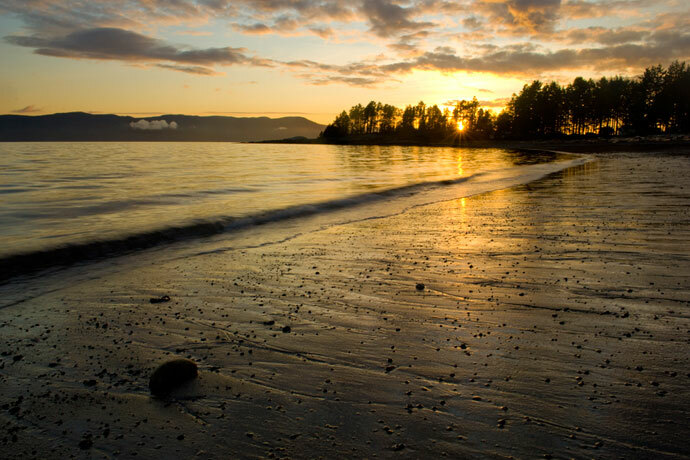 Photo by Darren Robinson/Discover Powell River. Photo by Infilm/Discover Powell River. The project required projections of future growth in population, employment, and land demand in the Powell River Regional District, in support of long-term land use and services planning. Our approach was to create an integrated model of all aspects of community development, including projected employment growth in key industries, changing population demographics, future patterns of migration (including migration of retirees), growing demand for recreational homes, and current and projected development densities (how much building space is constructed on a given piece of land). We started with extensive consultation of local representatives in the key economic base industries in the region (including logging, wood manufacturing, pulp & paper, tourism, mining, etc.) in order to estimate future growth rates by sector. Using input-output analysis, growth in the economic base industries can be used to estimate growth in all of the other “local-serving” industries, such as retail, personal services, and local transportation. With completed estimates of the number of jobs by industry, these can be translated into the types of buildings that are required (such as industrial, retail, institutional, and residential), followed by projected demand for different types of industrial and commercial land. Population trends at that time were negative and the regional labour force was projected to shrink over time, clearly restricting the growth prospects for local industries. Two scenarios were developed in response – the first assumed that negative growth projections were correct, and another that assumed that the region would successfully attract additional working-age adults, many of whom would bring families with them and therefore expand school enrollment. Happily for the Powell River region, this second scenario has proved closer to the truth. All parts of the analysis were fully integrated into a spreadsheet-based model so that changes in any of the assumptions would affect all other parts of the model. Jamie Vann Struth presented the results at a joint planning session of municipal, regional and First Nations politicians and senior staff in March 2010. The final report is here [0.5 MB].